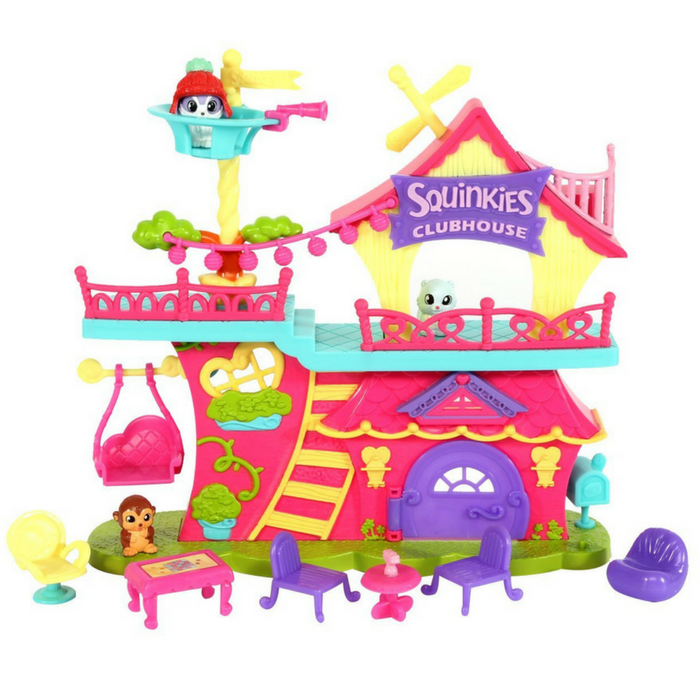 Squinkies Squinkieville Clubhouse Playset Just $7.97! Down From $20! You are here: Home / Great Deals / Amazon Deals / Squinkies Squinkieville Clubhouse Playset Just $7.97! Down From $20! Head over to Amazon where you can score this Squinkies Squinkieville Clubhouse Playset for just $7.97 down from $19.99 PLUS FREE shipping with Amazon Prime or for orders over $25! Everyone’s favorite Squinkieville hangout! Relax in the game room, snack in the Squinkie Cafe, or try on your favorite ‘Do in the dress up room! The Clubhouse is loaded with cute and quirky features! Try the spinning lookout, chill on the two seat swing, or peek into the hidden compartment under the Clubhouse floor! Best of all, the Clubhouse comes with three exclusive Squinkies and an exclusive ‘Do for them to wear. The hangout center of Squinkieville! Try the spinning lookout! Comes with 3 exclusive Squinkies and a dress up ‘Do! Relax in the Game Room, Snack in the Squinkie Cafe, and try a new ‘Do in the Dress Up Room! Collect and connect the Squinkieville playsets!